Doing what he does best. 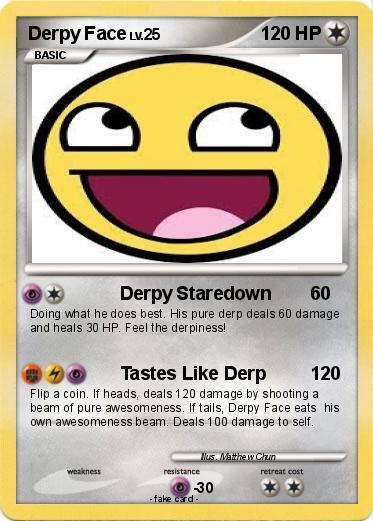 His pure derp deals 60 damage and heals 30 HP. Feel the derpiness! Flip a coin. If heads, deals 120 damage by shooting a beam of pure awesomeness. If tails, Derpy Face eats his own awesomeness beam. Deals 100 damage to self.